Gorakhpur, Banswara, Jamshedpur – three among many instances of infants dying in the hospitals where they were brought to be healed. These tragic deaths are a disgrace to the health system. 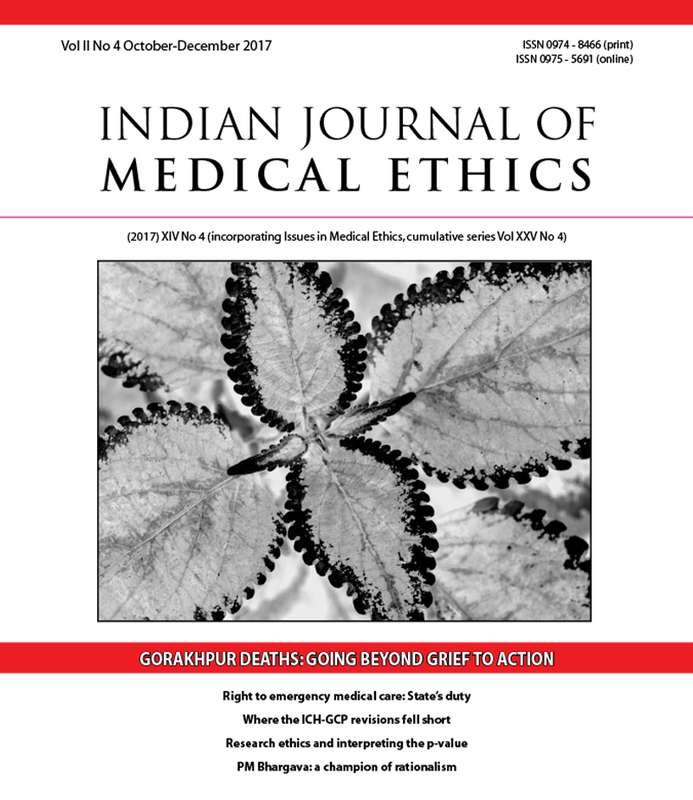 A public health professional and a former civil servant call for moving beyond grief to overhauling India’s public health systems to ensure decent care to the poorest. It is also a fact that the profession has forgotten its way. Why else would doctors force untrained family members to give lifesaving care? Why else would hospitals routinely refuse to provide emergency medical care – a constitutional right – forcing people to approach the courts for life-saving relief? What encourages unethical practices? Is it a matter of inadequate education of healthcare providers? Two articles in this issue look at the need to empower healthcare staff. Other essays turn to history for answers. They find that while bureaucratic approaches have delayed scientific breakthroughs and greed has discredited nascent technologies, dedicated, principled practitioners can lead the way, even today. But it’s not just a matter of positive support. Authors writing on emerging trends in biobanking, vaccines, medical techniques and new drugs assert the need for stringent monitoring of the effects of these, keeping in mind the interests of patients and their right to choose. The revision of the ICH Good Clinical Practice guidelines: a missed opportunity?